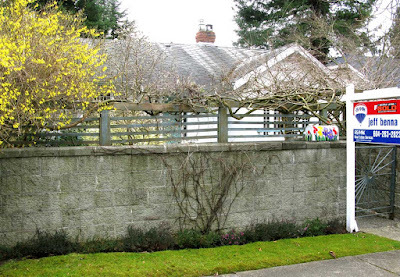 I first noticed this house many years ago because the front garden was part of the "Dunbar in Bloom" tour during Salmonberry Days. At that time, there were not many walled front gardens. This one was full of Cranes-bill geraniums waving in the breeze. 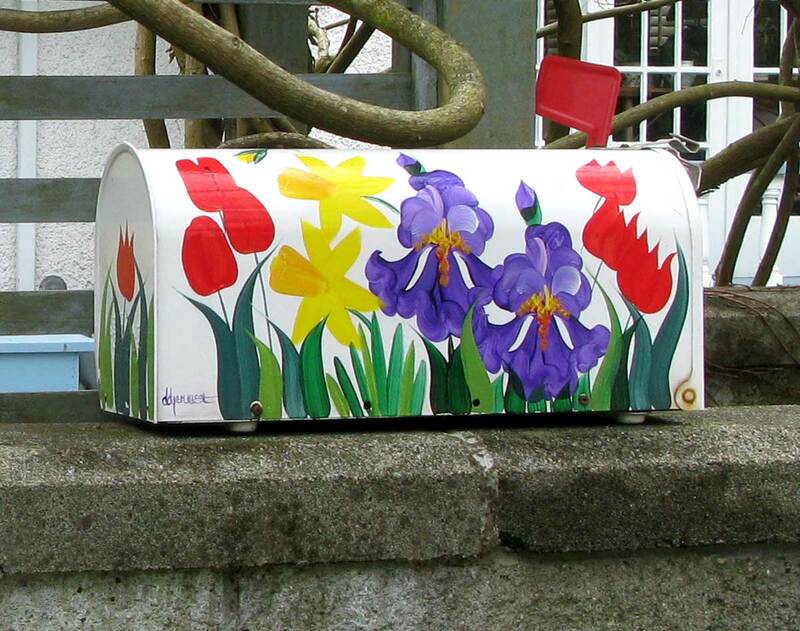 I was struck by the beauty of the small garden. 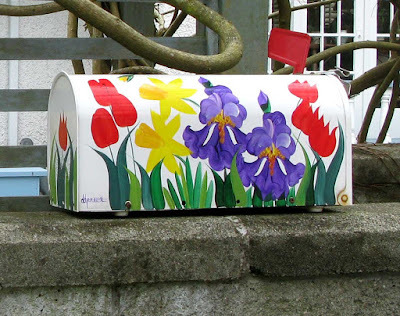 The mailbox sitting on the fence was a permanent contribution to "Dunbar in Bloom." Let's hope the owners took it with them. 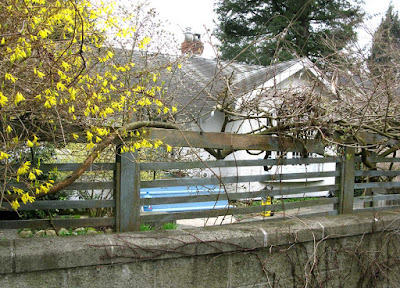 The house, with those large French doors which you can see in the background beyond the mailbox, was built in 1925 and demolished in November 2015. These photos were taken in March 2011 when it was sold.